For all your boiler and heating issues our team at boiler services Laytown are ready to assist you. As we are a branch of the well known boiler services Meath group we have the experienced staff and resources to operate 24/7 -365. All boiler manufacturers advise people to get an annual boiler service. This is for a number of reasons, firstly to optimize performance. This can save you around 15% on annual heating bills if you haven’t had a service for 3 years. Your boiler services Laytown technician can identify worn parts before they fail. If a part is approaching the end of it’s lifespan it’s far better and a lot cheaper to replace it there and then rather than having the heating system break down at the most in opportune moment down the line leaving you cold and the damage to the system more expensive to repair. Leaks, whether Carbon Monoxide or water they are just as bad as each other. A Carbon Monoxide leak can cause illness and in rare cases prove fatal. Water on the other hand can result in structural damage to you property and in contact with electricity can become a fire hazard. At boiler services Laytown we are totally flexible. We can service your boiler at your convenience not ours. This may be at the weekend and early morning or an evening after you finish work. Our rates range between €55- €80 depending on the make and model, call today for a free quote. If you are unlucky enough to have your boiler break down just call us on 046-9011255. We can have one of our emergency boiler repair team out to you within the hour on most occasions irrelevant of the time of day or night. As a well known and established company we are completely insured both with public and professional indemnity. All of our team are RGI registered and fully qualified. Our staff take the utmost pride in their work and as we are so confident of the high standards we provide a 1 year labor and parts warranty on all of our completed jobs. This ensures our clients peace of mind and we wouldn’t have it any other way! 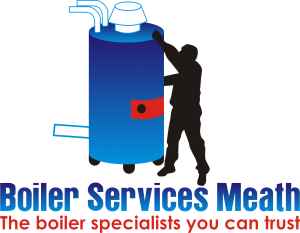 For free quotes without obligation for boiler service, repair or installation call the experts at boiler services Laytown today on 046-9011255.